Product categories of Metal Emblems, we are specialized manufacturers from China, Metal Emblems, Metal Car Emblems suppliers/factory, wholesale high-quality products of Custom Car Metal Emblems R & D and manufacturing, we have the perfect after-sales service and technical support. Look forward to your cooperation! The greatest thing about emblems is their diversity. They can be used for almost every activity, event or organization, and they are an effective way to get you in the public eyes! 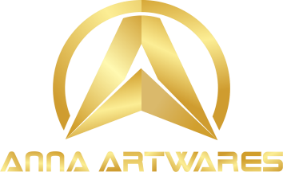 Over the past 12 years, Anna Artwares have become an expert at crafting metal emblems for a variety of purposes, for clients including small businesses, schools and clubs to corporate companies and globally recognized charities. You can order a custom metal emblem in a range of finishes, such as soft / hard enamel, silkscreen printing, offset printing, photo etching and so much more. We are a 12 years' manufacturer of metal emblems, and can help you creat the emblem you want professionally.